While being interviewed by Fox News’ Bret Baier at the Reagan National Defense Forum, Secretary of Defense James Mattis did not hold back in his criticisms of Russian President Vladimir Putin and Russia’s hand in meddling in U.S. elections and other international affairs. “He is actually causing NATO to rearm and to strengthen the democracy's stance, the unified stance of all the democracies together,” he continued, pointing to all of the NATO members in attendance. When asked if the U.S. relationship with Russia had worsened while he has been Secretary of Defense, Mattis said it had. “There is no doubt the relationship has worsened. He tried again to muck around in our elections this last month, and we are seeing a continued effort along those lines,” he replied. “We are dealing with someone that we simply cannot trust,” Mattis added. 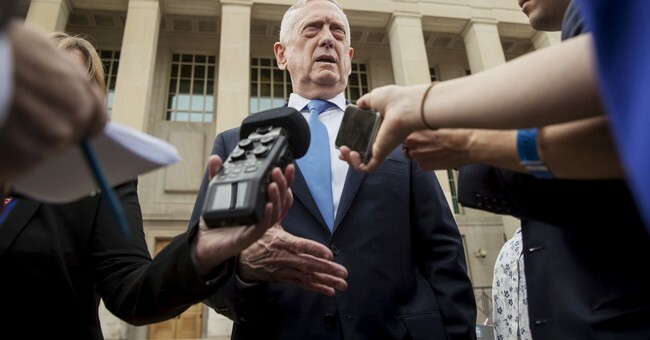 Mattis’ heavy criticism of Putin came days after Russian ships opened fired and seized three Ukrainian ships and their crews in the Kerch Strait. Ukrainian President Petro Poroshenko has asked for NATO to send warships in response, according to BBC. “Germany is one of our closest allies and we hope that states within [NATO] are now ready to relocate naval ships to the Sea of Azov in order to assist Ukraine and provide security," Poroshenko told German newspaper Bild. "We cannot accept this aggressive policy of Russia. First it was Crimea, then eastern Ukraine, now he wants the Sea of Azov. Germany, too, has to ask itself: What will Putin do next if we do not stop him?"